Getting the School Year Started Right: Back to School Night! 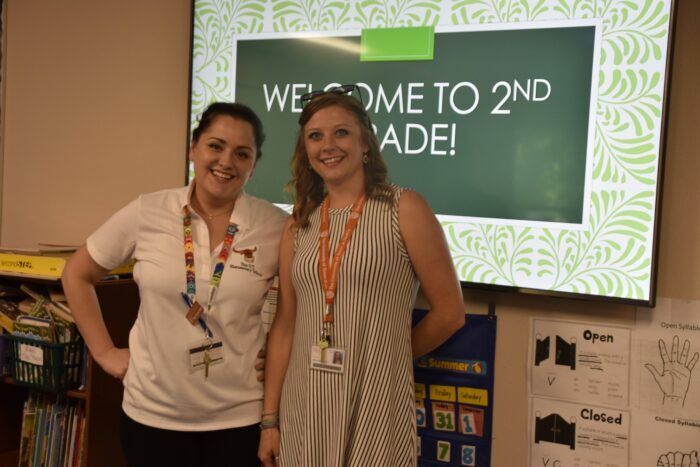 UT Elementary School Principal Nicole Whetstone, Assistant Principal Melissa Garcia and faculty welcomed parents and students to Back to School Night on August 30. 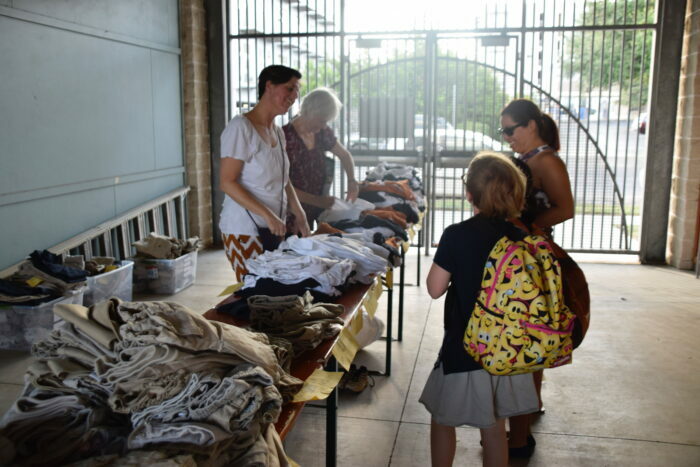 Teachers provided information about expectations for the school year and had a chance to officially meet parents. 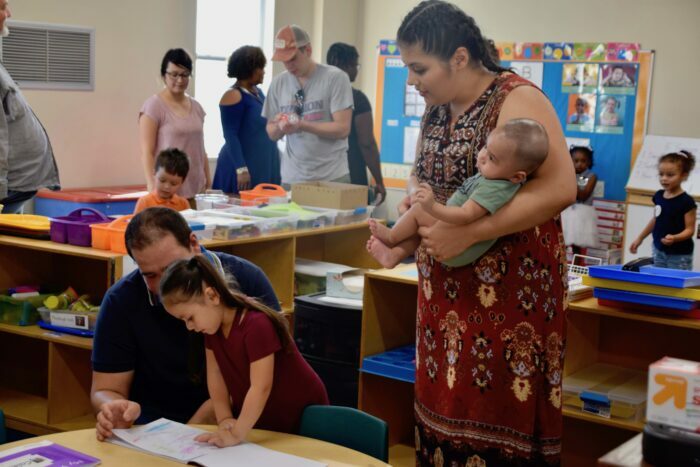 A number of great community organizations and supporters took part in a resource fair, while students and their siblings played on the new sports court and checked out centers set up in the classrooms. 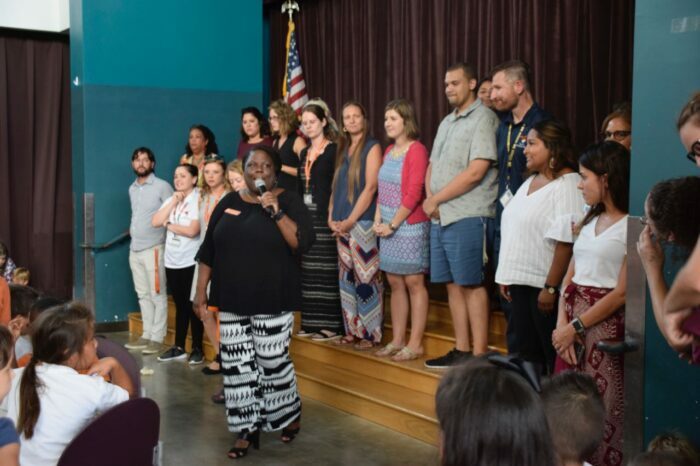 Principal Nicole Whetstone introduces teachers. Second-grade teachers Danna Oakes and Lucy McCoy get ready for parents. Proud students showed their parents their classrooms and work on back to school night. 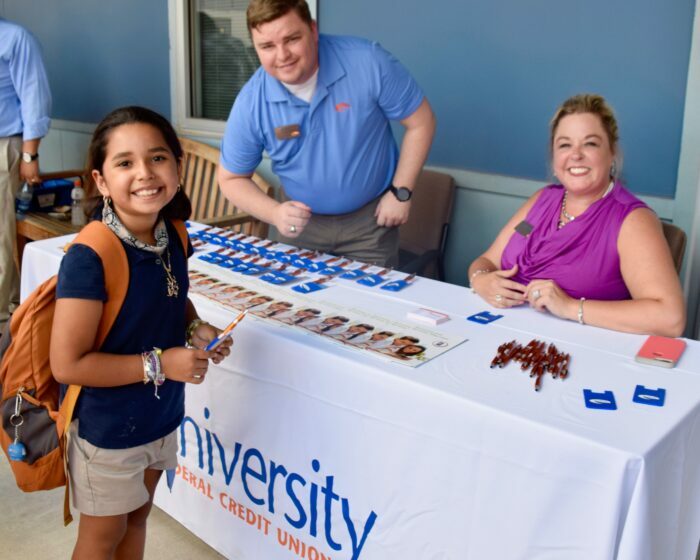 Our good friends at University Federal Credit Union brought financial resources and UFCU swag. 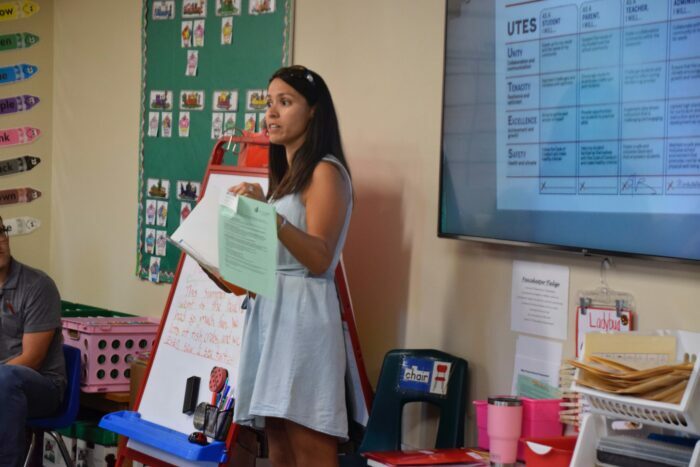 First-grade teacherJuanita Vasquez shares high expectations for learning with parents. Parents had the chance to share outgrown UTES uniforms. Being green saved money for families!